Item # 297591 Stash Points: 1,499 (?) This is the number of points you get in The Zumiez Stash for purchasing this item. Stash points are redeemable for exclusive rewards only available to Zumiez Stash members. To redeem your points check out the rewards catalog on thestash.zumiez.com. Classic Gas Station style in one beanie. 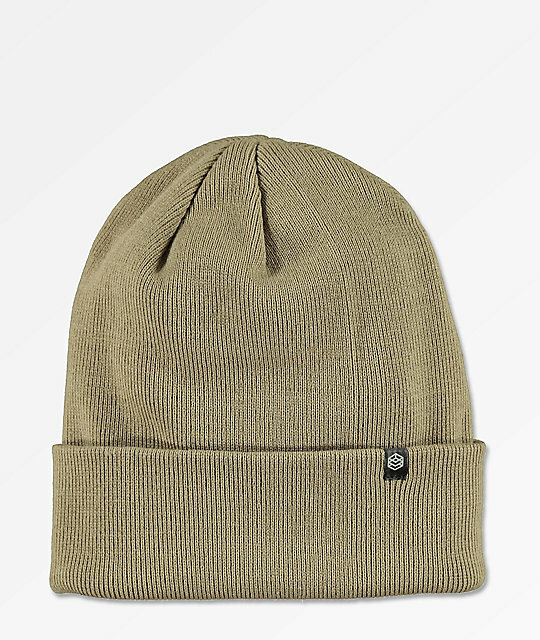 The light brown/sand Essential beanie from Zine features a cuffed design made with a stretchy tight knit construction and is finished with a black Zine tag on the hem. Essential Sand Gas Station Fold Beanie from Zine. Fold over cuff with Zine brand tag on hem.